Whilst issues of animal welfare, particularly that of zoo-housed elephants, prevail in Pakistan, a leading daily English newspaper on April 15, 2014 carried an advertisement to purchase a female elephant for the Bahawalpur Zoo. The advertisement even specifies the cost as 26.5 million rupees. It seems like an advert to acquire a generator with a supplier in mind, rather than to bring in an endangered living animal that feels, suffers, is social and is highly intelligent. Such advertisements, especially by those institutions that are mandated to conserve wildlife, are ironic and unacceptable. This very advertisement in itself is ample to give an impression of the level of expertise to care for an elephant. It perpetuates illegal trade of wildlife, which is the foremost threat to endangered species. The World Zoo Conservation Strategy clearly stresses cooperation between zoos and deems the practice of attaching price tags to wild animal species as unethical. Unfortunately, none of the Pakistani zoos is a member of the World Association of Zoos and Aquaria, which demands commitment to a certain standard. Our zoos do not even cooperate with one another. More so, establishing a National Zoo Association can be a step towards fostering such cooperation. It is interesting that the Bahawalpur Zoo advertises to purchase a female elephant while it currently does not house any elephant. 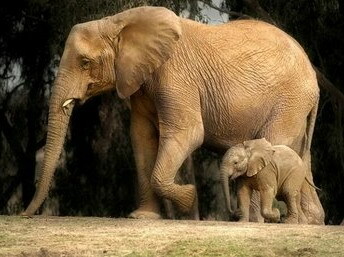 The last elephant at Bahawalpur Zoo was a male that died in 2000. The one elephant, when procured in the zoo, will be welcomed to solitary confinement and shackled life. There is already a female African elephant in Lahore Zoo and there is one male Asian Elephant at Islamabad Zoo. There are endless serious issues surrounding elephant welfare which were highlighted in an article I wrote earlier. I appeal to the authorities to please stop this cruelty and stop promoting trade of wild animals. Our public needs to be educated and we do not need to succumb to their demands of seeing an elephant in captivity. I still remember seeing an elephant statue in Edinburgh Zoo with a sign that this is the only elephant visitors would see at the zoo because they did not have enough space and resources to meet the requirements of housing any. We can only change the attitude of people towards animals by presenting the animals with respect. If we must have captive elephants, we should develop large paddocks for them and house them in their social groups. The British and Irish Zoo Association (BIAZA) recommends that the absolute minimum size for an outdoor enclosure is 2,000 square metres with another 200 square metres for every additional cow (over two years of age). Ideally, no outside area, designed for cows and bulls, should be less than 3,000 square metres in area. The BIAZA is not the only zoo association that has specific management guidelines — many other associations have similar standards that they adhere to. The Pakistan government should only acquire animals using their diplomatic relations with neighbouring countries such as Sri Lanka and must only bring in such animals when we improve the husbandry standards, expertise and health care.